Consider the first-order reversible reaction involving chemical species and : . 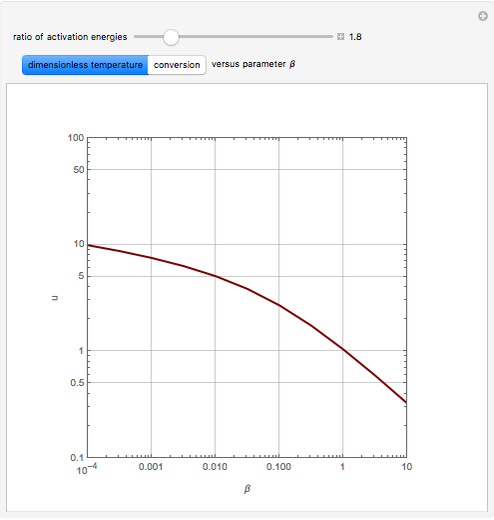 The reaction rate for is given by: , where is the fraction of converted, and are the reaction rate constants, and and are the initial concentrations of species and with . 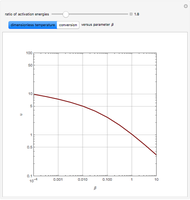 where , and are the final reaction time and the time variable, , for and , and are the activation energy and pre-exponential factor, is the ratio of the activation energies, and is the dimensionless temperature. 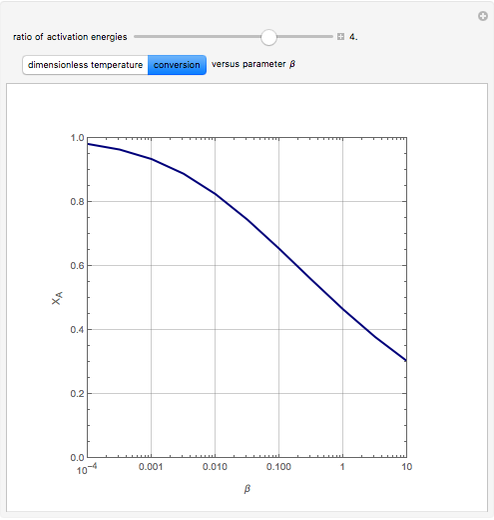 The value of the optimum temperature or can be found for given values of , , and from: at . 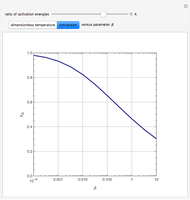 After the optimum value of is found, the actual optimal temperature is given by: ; the reaction is assumed to be exothermic (i.e., ). This assumption is important for the Demonstration to perform correctly because only for exothermic reactions can one find an optimum temperature. 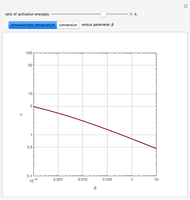 Indeed, high values increase the rate constant but lower the equilibrium conversion. Thus, one must reconcile between competing thermodynamic and kinetic considerations by choosing an appropriate optimal temperature. High is better in the beginning where equilibrium limitations are not important and low is better later when one approaches equilibrium. 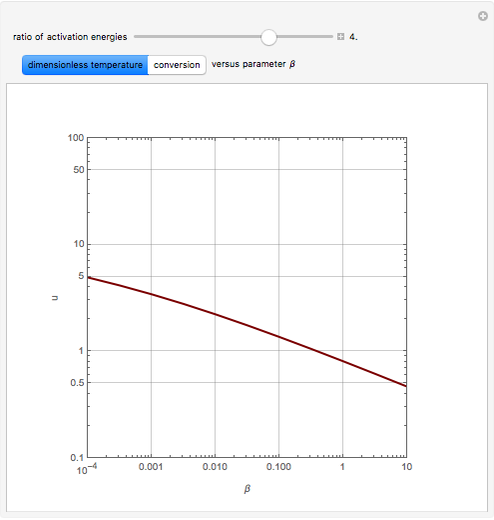 The Demonstration plots the optimal dimensionless temperature, , and the corresponding final conversion, , versus parameter for user-set values of the ratio of the activation energies, . C. D. Fournier and F. R. Groves, "Rapid Method for Calculating Reactor Temperature Profiles," Chem. Eng., 77(3), 1970 p. 121. Housam Binous and Ahmed Bellagi "Optimal Temperature Policy for First-Order Reversible Reactions"